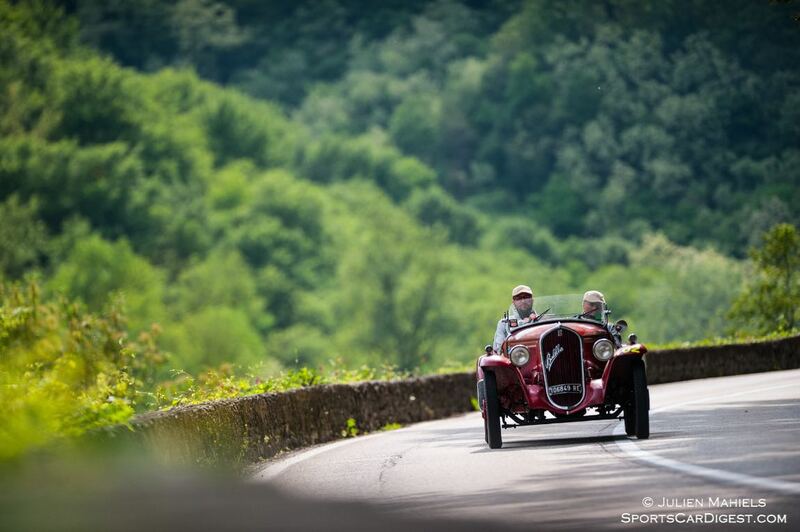 The Mille Miglia 2015 was held 14-17 May over 1,600 km (1,000 miles) of Italy’s most beautiful regions, starting and ending in Brescia. 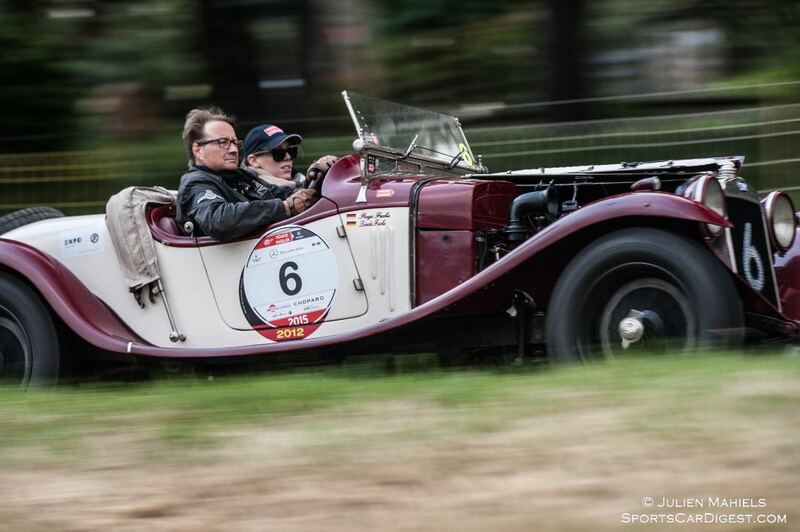 This year’s 1000 Miglia – the 60th event to be held under this name since 1927 – took participants along a ride between historic villages, following an itinerary which although featuring some variations with respect to the previous editions, kept with the tracks of the twenty-four editions held from 1927 to 1957. 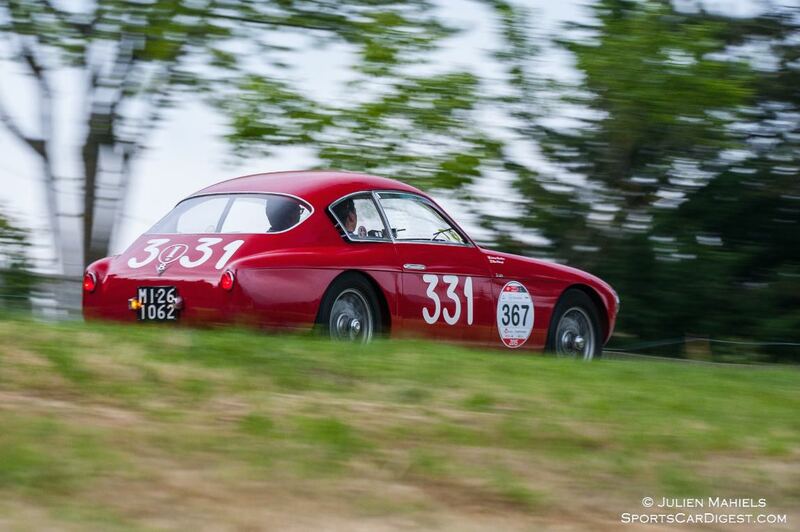 The 33rd retrospective edition saw a great field of historical automobiles celebrate the legendary Mille Miglia endurance road race. 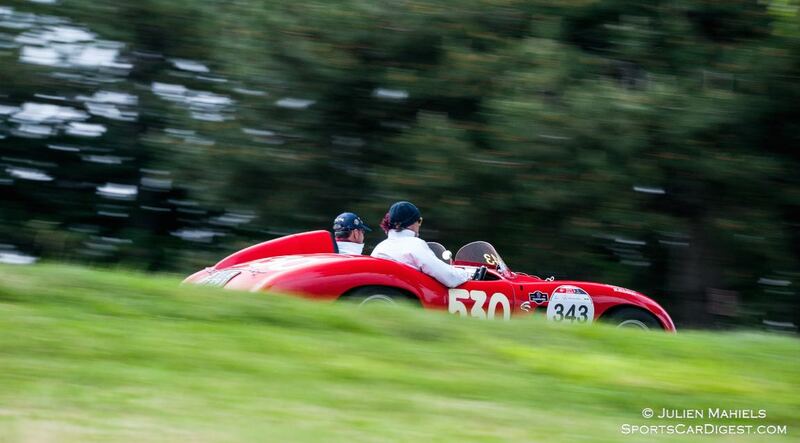 Of the 438 entrants at the Mille Miglia 2015, a total of 67 took part in at least one original Mille Miglia racing edition. The cars at the Viale Venezia start included more than 60 different marques, with the lion’s share goes to Mercedes-Benz and Alfa Romeo with 38 cars, followed by Jaguar with 36, Fiat with 34, Porsche with 30 and Lancia with 22 entries. 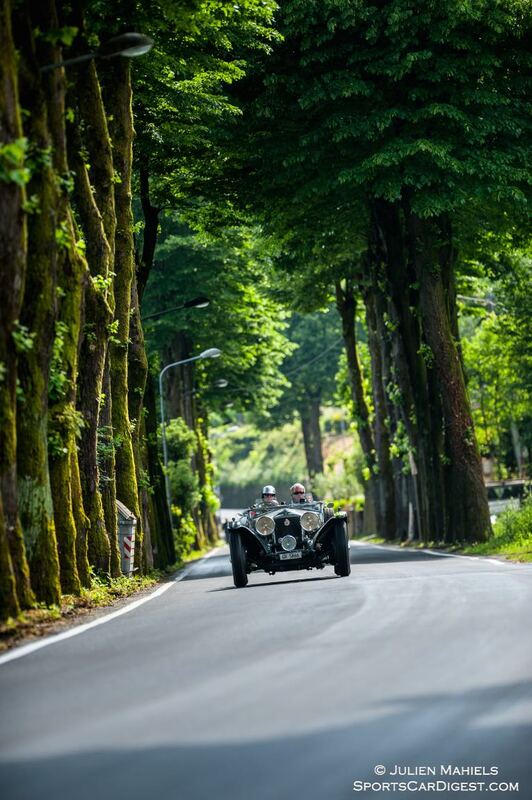 The 2015 Mille Miglia race started on Thursday 14 May in Brescia before initially heading eastwards to Sirmione on Lake Garda. It then continued southwards to stage destination Rimini via Verona, Ferrara and Ravenna. One of the first highlights on Friday 15 May was the drive through San Marino. From there, the route ran parallel to the coast via Sengallia, Loreto and Teramo, crossing the Apennines to the west before reaching Rome via Antrodoco and Rieti. On Saturday 16 May, the route took participants from Rome to Parma via Viterbo, legendary passes such as the Radicofani, Siena, Pisa and Lucca. The fourth and last stage on Sunday 17 May was from Parma back to Brescia via Piacenza, Autodromo di Monza and Bergamo. The South American duo beat for few points the well-known Brescia couple Andrea Vesco and Andrea Guerini in their 1930 Fiat 514 MM, followed on the podium by the 1928 Bugatti Type 40 of Ezio Martino Salviato and Caterina Moglia. 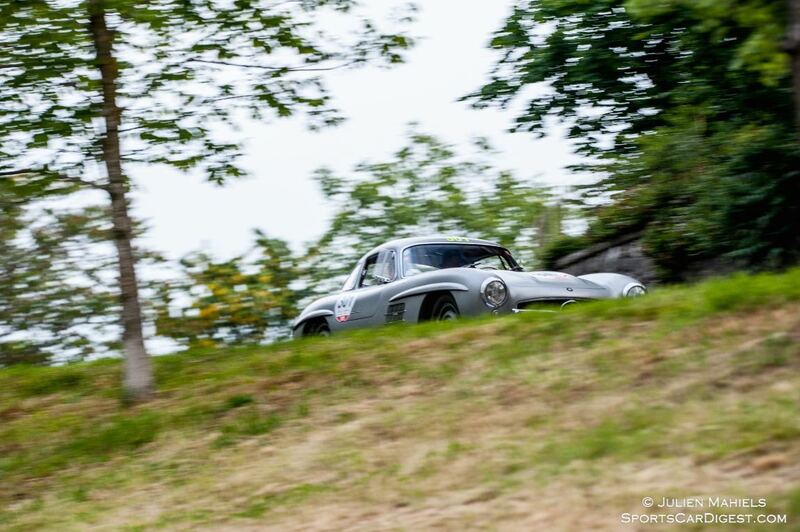 To celebrate the 60th anniversary of the famous overall victory in the Mille Miglia of 1955, Mercedes-Benz returned the 300 SLR W196 S team back to Italy in demonstration runs enjoyed by all. Of course Sir Stirling Moss, winner of the 1955 race, was on board car number 722, a number that indicates the time of departure. Hans Herrmann was behind the wheel of the 300 SLR #704, just as in 1955, while Ralf Schumacher drove the 300 SLR #658 in place of the late Juan Manuel Fangio. While the three Mercedes-Benz 300 SLRs did not officially take part in the race, the silver trio did make unique guest appearances in Brescia, Sirmione, San Marino, Rome and Siena during the course of the historic regularity race. 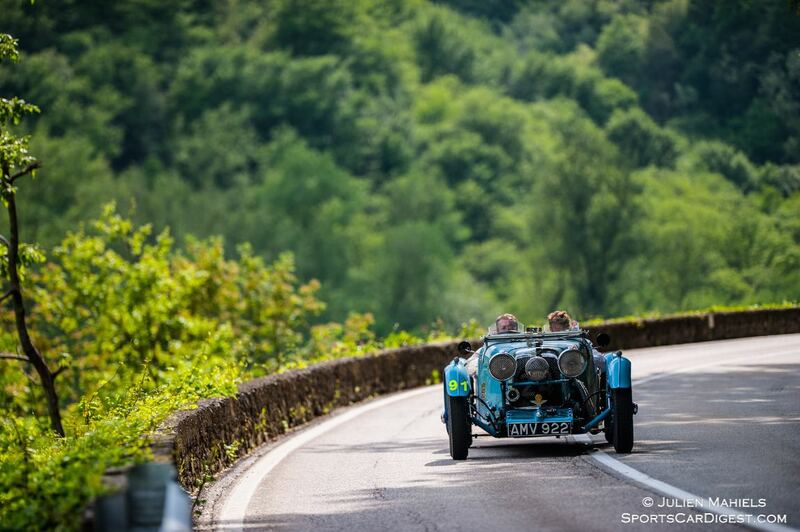 Similar to 2013 and 2014, Senior Photographer Julien Mahiels also documented the 2015 Mille Miglia Rally, offering the following stunning picture gallery that highlight the interesting field of entrants and the charming Italian landscapes. We split up Julien’s pictures into two galleries. The first gallery starting below features our favorite images, all displayed in the full-width view of Sports Car Digest, while the second gallery and rally results can be found on the last page of the article and gives a comprehensive view of all the photographs. To see more from Julien, visit julienmahiels.net. A car that you identify in one place as an Aston Marin Le Mans is really an S-Type Invicta. The french blue Aston LeMans (pic 8 ) is the first Aston ever in the MM 1934. Stunning pics Julien. Many thanks for the SCD team bringing alive the Mille Miglia to my computer. Superb pictures, what a joy. Julien you are a photography hero! Too bad I can’t post my picture of the no. 440 Testarossa here, I must have taken it just 1 sec after Julien hit his camera’s trigger. I cannot believe I was standing so close on an almost empty grandstand 6 above the Autodromo’s historic banking, and did not see him there….maybe next time! Some of the most beautiful vintage autobobile images I’ve seen in a long time, taken by a true creative photographer, but many ruined by faking a tilted horizon. 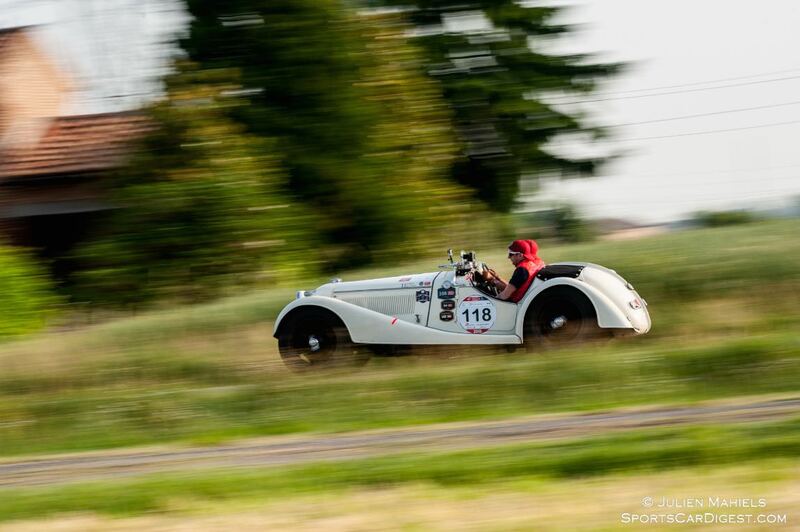 Brilliant photos, but the white Riley is not a ‘TT’ Sprite, just the standard version. Me gusto mucho, las fotos de los carros estupendos.Good. Beautiful photos Julien! The opening image was taken near Lago di Vico, Viterbo? we met there!